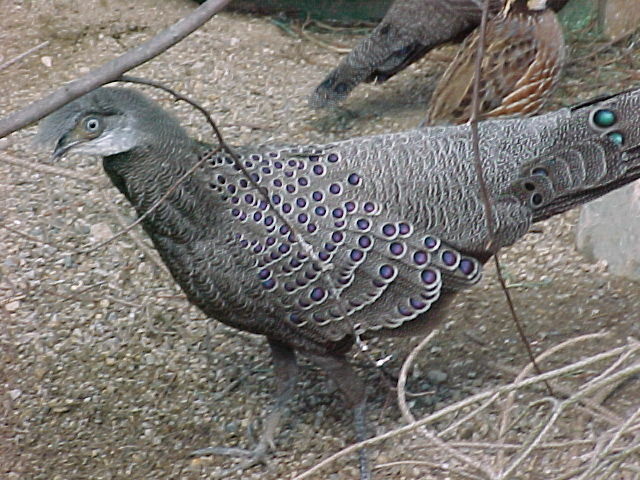 The gray peacock pheasant, also known as the Chinquis, is the national bird of Myanmar (Burma). They have grayish brown plumage that is finely mottled with dark gray, white, and buff. Males have metallic bluish-green ocelli on the wings and mantle. Each tail feather is marked with two large metallic green, with a tint of purple, ocelli. The cheeks and throat are white and he has a gray upright crest that leans forward in courtship displays. The female is much smaller and much more plain than the male. The ocelli on the female is not nearly as bright or as large. 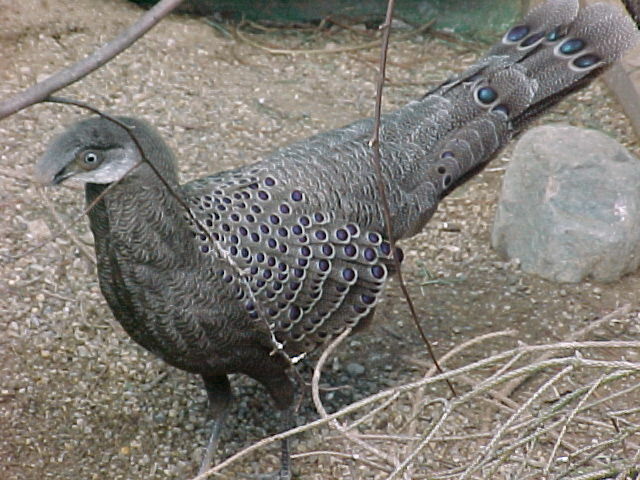 The gray peacock pheasants are a tropical species, so they do require shelter/heat, depending on your location, during the coldest months. Being forest birds, they need plenty of shade during the summer months. The breeding season is March through July. The hen will lay several clutches of two eggs each. The incubation period is approximately 21 days.